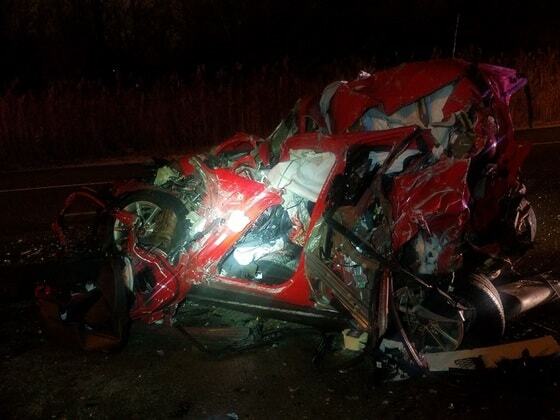 A Winamac man was seriously injured in a crash on I-80 in northwest Indiana. The preliminary investigation by the Indiana State Police revealed that shortly after 12 a.m. on Wednesday, Dec. 5, a 2005 Ford F150, being driven by a 39-year-old Merrillville man struck a red Ford Focus, being driven by a 22-year-old Winamac man. The impact from the crash pushed the Ford Focus into the back of a tractor trailer that was stopped in traffic. The crash occurred at the westbound 9.2 mile marker on I-80, Just east of Grant Street exit. As a result of the crash, all westbound lanes had to be closed. The Winamac man was trapped inside of his vehicle and had to be extricated by Gary Fire Department. He was transported to Northlake Methodist Hospital in Gary, Indiana with serious injuries. The driver of the Ford F150 was also transported to North Lake Methodist Hospital with non-life threatening injuries. Alcohol may have been a factor. Toxicology tests are pending.